Both Theodore Roosevelt and William Taft had advanced the idea of ‘muscular Christianity.’ Roosevelt would say ‘Jesus was a man’s man – strong, muscle-bound, and physical.’ The idea carried over into war recruitment. Men, strong men, vital men – could be men of prayer! The idea of war divided the nation. 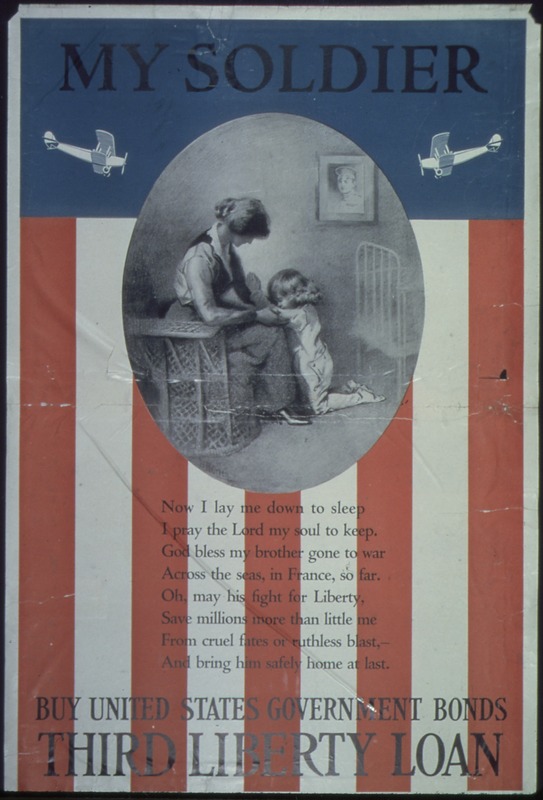 “We’ll fight if we must … in God we trust,” became the watchword. Ministers, particularly Unitarian, lined up against any involvement. But when the war came, churches and synagogues alike provided prayer books for soldiers, complete with Bible readings and hymns. They worked to supply chaplains. Each serviceman pledged that he would read a portion of the prayer book daily. All the prayer books contained a section on facing death. I … hereby proclaim … a day of public humiliation, prayer and fasting, and do exhort my fellow-citizens … to assemble on that day in their several places of worship … to pray Almighty God that He may forgive our sins … and purify our hearts. Such proclamations were not mere ceremony. Churches opened. People paused. Prayer was offered. A nation connected with their God. And God gave victory. Wilson believed he was destined to lead the nation during the War. 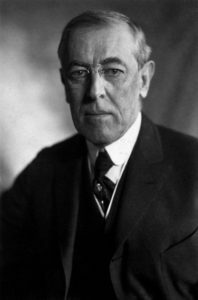 The former President of Princeton grew up in home where morning and evening devotions were common. The inauguration fell on a Sunday. Wilson thought it a Divine sign. He read the Bible, prayed morning and evening and blessed each meal. 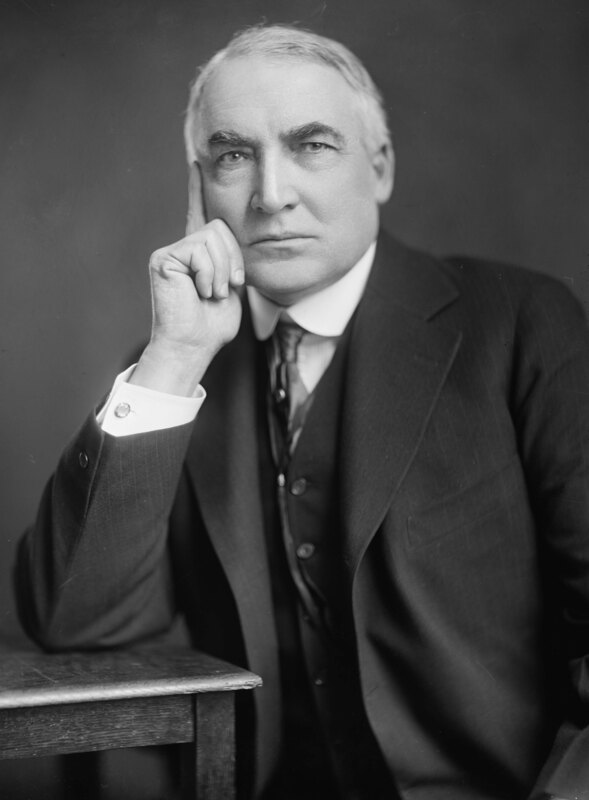 Harding followed Wilson, and was the first of the post-war presidents. In college, he had flirted with atheism. But as President, he kept a public face of faith, attending a Baptist church. Upon election, he commented that “it was not a time for exultation, but for prayer.” His turn to faith seemed to be out of a recognition that only God could “make me capable of playing my part.” Sadly, his administration was riddled with corruption. He was unfaithful to his wife, even though she had worked feverishly for his election. He carried on a White House affair with a mistress by whom he had an illegitimate child. His wife became ill, but he persisted in his affair until it appeared that he might lose her. It is said that he sat outside her sick room reciting Psalm 121 relentlessly. She lived. He died on trip to Alaska and San Francisco. Calvin Coolidge, the Vice President, assumed the office.